Researcher Scott Waring appears to have found an alien face on Mars in a NASA photo. To be more, he claims that this specific 1.5-meter tall sculpture was placed on a hill in a way that it can overlook a large area of Mars, and there may actually be more buried under the dirt, much like the Easter Island statues with full bodies. Read more for a video and the original NASA photo where this face was found. 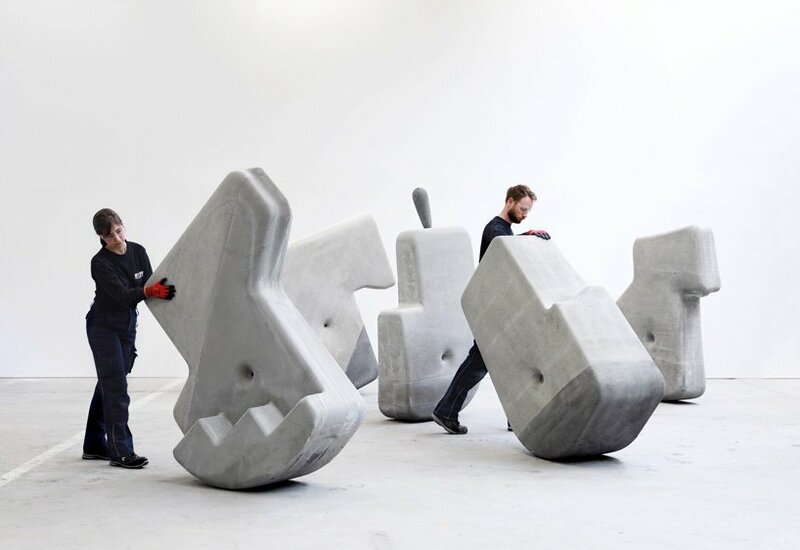 Matter Design, in collaboration with construction-research company CEMEX global R&D, researchers to devise a method of moving massive stones without the use of heavy machinery. They drew inspiration from the Moai statues on Easter Island, and came up with Massive Masonry Units (MMU’s), which uses variable density concrete, so the center of mass is calibrated precisely to control their stability to ensure that one can move them successfully into place for assembly. Read more for a video, additional pictures and information. These days, you can find just about anything on eBay, including this fossil of an infant Tyrannosaurus rex, which as a “buy it now” price of $2.95-million. It’s estimated to be 68-million years old, and was first discovered in 2013, on private land in Montana. It became the property of Alan Detrich, a professional fossil hunter who found it. In 2017, the fossil was lent to the University of Kansas Natural History Museum, where it was still on display when Detrich decided to put it up for auction. “Most Likely the Only BABY T-Rex in the World! It has a 15 FOOT long Body and a 21” SKULL with Serrated Teeth! This Rex was very a very dangerous meat eater. It’s a RARE opportunity indeed to ever see a baby REX,” according to the listing. Read more for additional pictures and information.